Sock It Out screw extractors are a revolutionary design as they do not require drilling into a stripped fastener, which saves you time and money! Sock It Out screw extractors deeply wedge into the stripped recess, providing a strong and positive grip. All Sock It Out products are manufactured in the USA. Sock It Out screw extractors are versatile, industrial grade, durable time-saving tools that eliminate the hassles and headaches associated with typical spiral and straight fluted extractors. 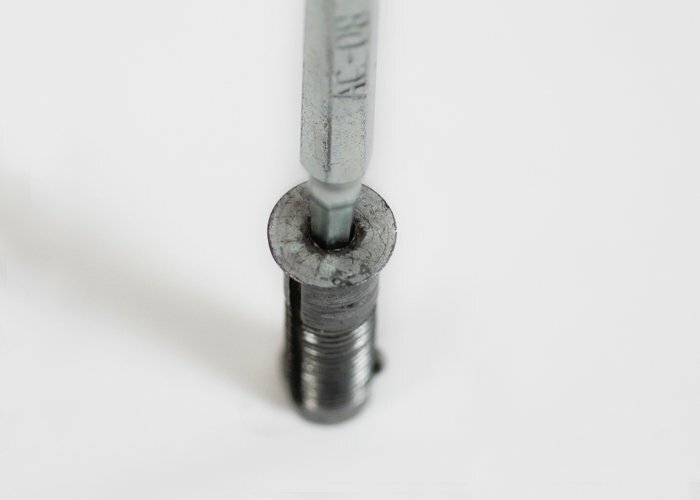 Sock It Out screw extractors do not require drilling into the stripped fastener. Rather, they wedge deeply into the stripped recess, providing a strong, positive grip – so all you need to do is simply turn out the fastener. Sock It Out screw extractors help transform a two-tool, time-consuming process into a one-tool simple solution. Sock It Out screw extractors were developed by a journeyman tool and die maker who constantly dealt with stripped fasteners in a high-production assembly environment. 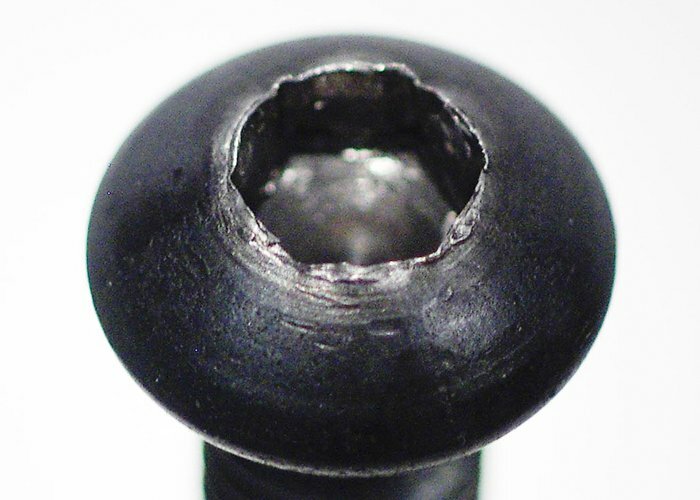 The time it takes to drill into a hardened fastener, assuming accessibility to the work area is gained without damage to the application, can be extremely counter-productive. 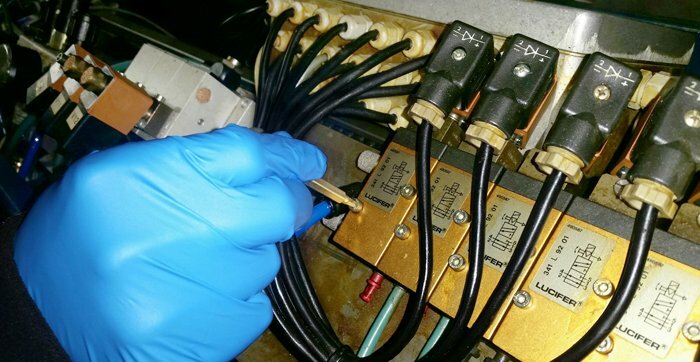 Sock It Out screw extractors can save the end user 83% – 90% on downtime compared to using a fluted extractor. Their design allows for use in tighter, more compact spaces, mitigating the risk of damage to the mating threads. Sock It Out screw extractors, have an EPA-approved corrosion resistant plating and are available in a wide variety of sizes in all standard fastener applications. 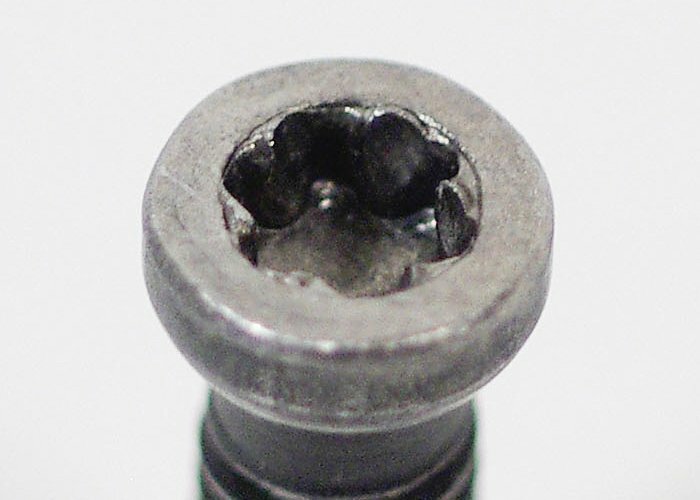 They work with socket head cap, flat head, set, and button head cap screws that may be used in medical instrument and electronics manufacturing and repair, aerospace OE and repair, machine shops, tool and die manufacturing, automated assembly and packaging, automotive/vehicle and cycle repair, and many more. SOCK IT OUT products are manufactured completely in the U.S.A.
TORX® is a Registered Trademark of ACUMENT INTELLECTUAL PROPERTIES LLC.